The Nasdaq 100 includes 103 of the largest domestic and international non-financial companies listed on the Nasdaq Stock Market. The index is generally considered the world's technology bellwether with all of the major technology stocks from Apple to chipmaker Xilinx traded on its exchange. If you thought the statistics for the M.I.S. S&P 500-VUSTX Model were good, the numbers for the M.I.S. Nasdaq 100-VUSTX are spectacular. An initial $50,000 investment on March 12, 1999 (the inception of 'QQQ'), in the M.I.S. 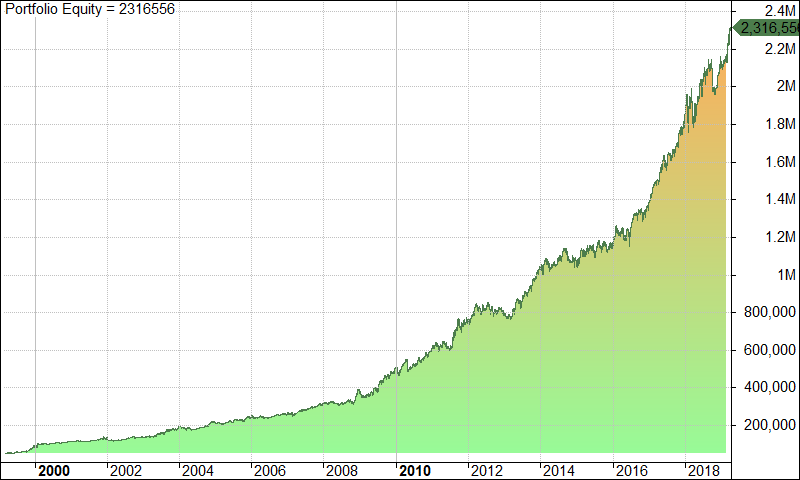 Nasdaq 100-VUSTX model would now be worth $2,316,555.75--a compound annual return of over 21%. Buy-and-hold investors earned 7.4% a compound annual return of 7.4% ending up with $210,688.07.